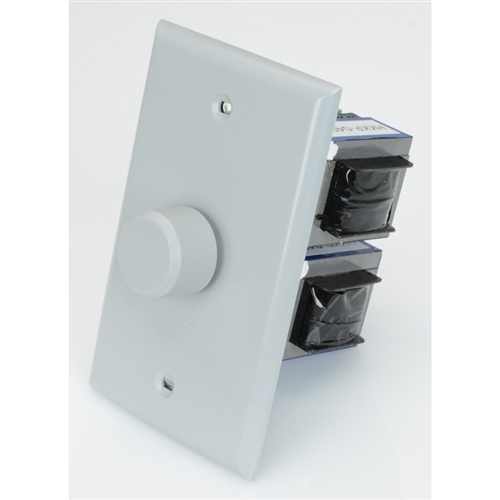 The AW-100WV is a 100 watt outdoor in-wall volume control. The AW-IMP100WV impedance matching volume control is identical with the exception that it can be configured to maintain a safe system load when multiple controls and speakers are connected. 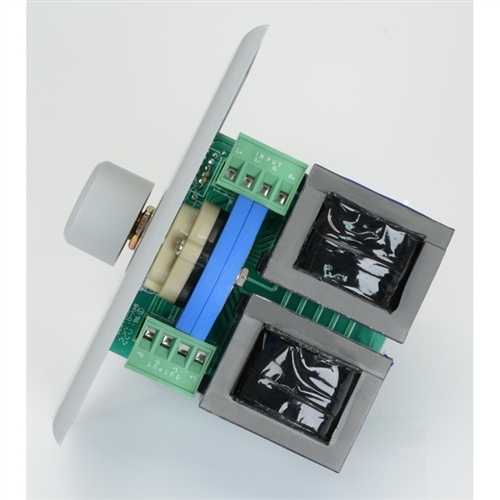 These controls utilize autoformers to efficiently transfer the power from amplifier to speaker. Autoformers are the electrical equivalent to a gearbox in an automobile with each of the 12 volume positions a different gear. It is common to use these controls with outdoor landscape speakers.